Flying home on the 14th hopefully. Not sure if I'll fly in Saturday night or Sunday morning. 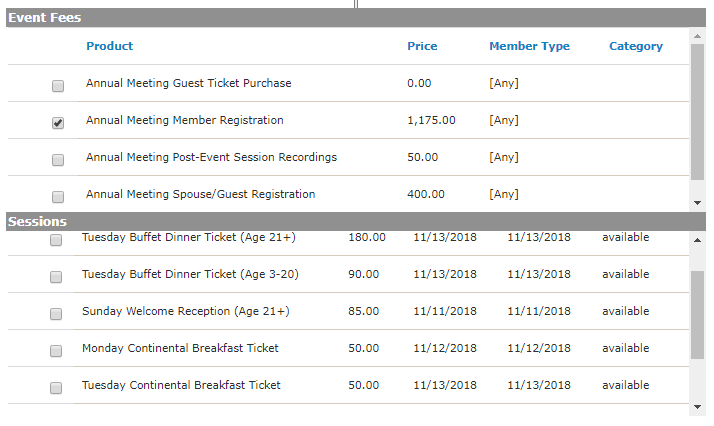 do the meals under "Session" come with the registration? seems steep af if we gotta pay extra for the food. Meals are included in the registration fee. Those are individual tickets for any guests you bring. [grumbly font] Retired members used to be able to register for free. Then so many of us baby boomers showed up to eat all the hors d'oeuvres and drink all the booze that now they charge us half the regular registration. Very annoying. I may just register for a couple of evening receptions. [/grumbly font] Gotta save my pennies for Business Class airfare to the meeting in Honolulu next year. Hey guys, we gotta vote on Sunday or Monday to host this thing. Please check with the social group to vote!